If none of these conditions are met, the name of the default user is used. When should mapping be performed? Step 1. Access your WordPress Dashboard and click Users. Step 3. 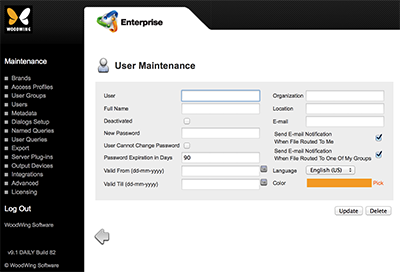 Make sure that the way the user name is written is identical to the corresponding name in Enterprise Server. Step 2. Make sure that the way the user name is written in the User field or the Full Name field is identical to the way that the name is written in WordPress. 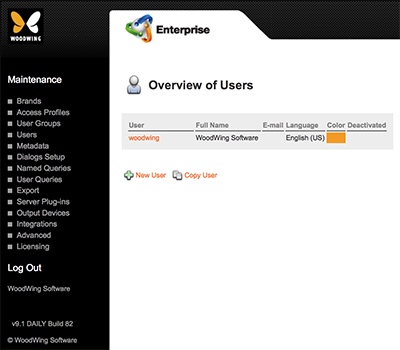 Mapping the users is done by importing the WordPress users into Enterprise Server. Note: Names are considered to be a match when the lower-case name of a user in WordPress matches the lower-case name or the full name of a user in Enterprise Server. The WordPress icon is only available when the Server plug-in "WordPress Publishing Connector" is enabled. 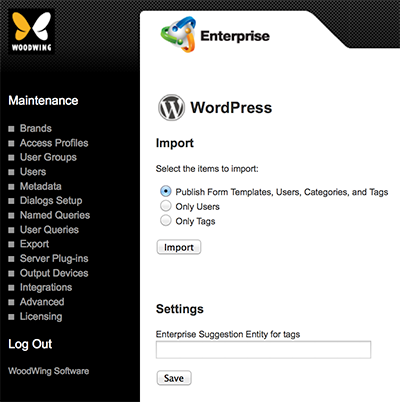 See Integrating WordPress in Enterprise Server 9. Step 2. In the Import section, choose Only Users. The user names are imported and the result of the import action is displayed.